Apollo 11 astronauts visit Iran (Oct 25, 1969)on a worldwide tour and meet the Iranian Imperial Family. Chinese Communist Party Chairman Hua Kuo Feng arrives in Iran (1978) and is met by the Shah of Iran. King Alexander Edward Christian Frederik Olav V of Norway's state visit to Iran (1965) and is greeted by the late Shah of Iran. PM Shahpour Bakhtiar's last speech in exile before being assasinated by agents of the terrorist Islamic Republic occupying Iran. 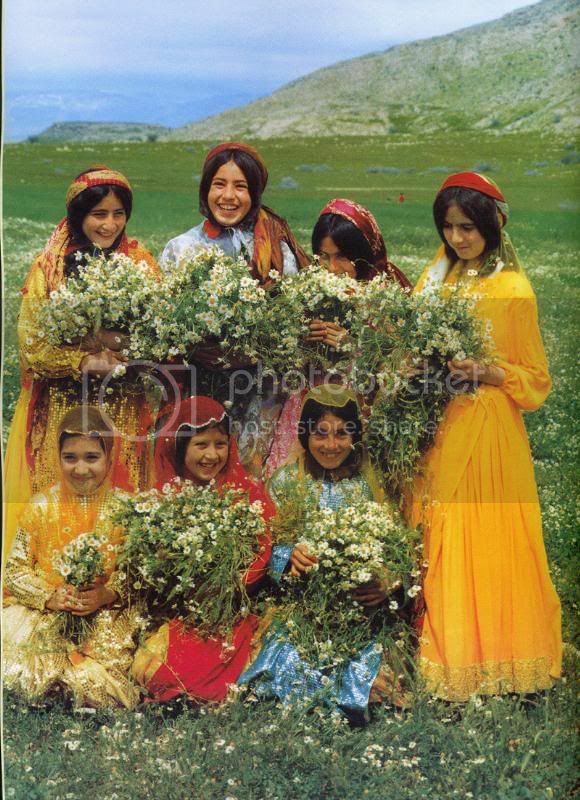 Entertainer, poet and political activist Fereidoun Farrokhzad who was assassinated on the 8th of August 1992 is remembered by friends and family. Many perceive a loss of "respect" in society since the monarchy's fall. More than three decades after Mohammad Reza Shah Phalavi's death and despite relentless official demonization of the former monarch, the younger generations of Iranians have a soft spot for the man whom their parents brought down. Last Thursday, the anniversary of the Shah's death, I spent some time talking to the residents of Tehran about him. 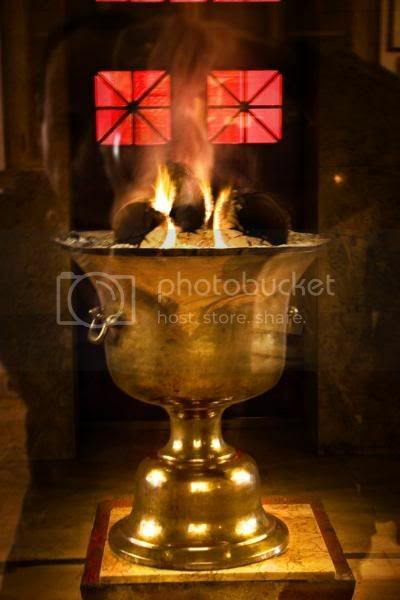 The fifth day of Mordad, the fifth month of the Iranian calendar, is not officially remembered in Iran. No significant event took place on the date according to the Islamic Republic's official calendar. However, occasional "this day in history" bulletins in state and state-aligned media outlets include a brief mention: "On this day, Mohammad Reza Pahlavi, the former Shah of Iran, died in exile in Cairo, Egypt, of cancer." That is it. 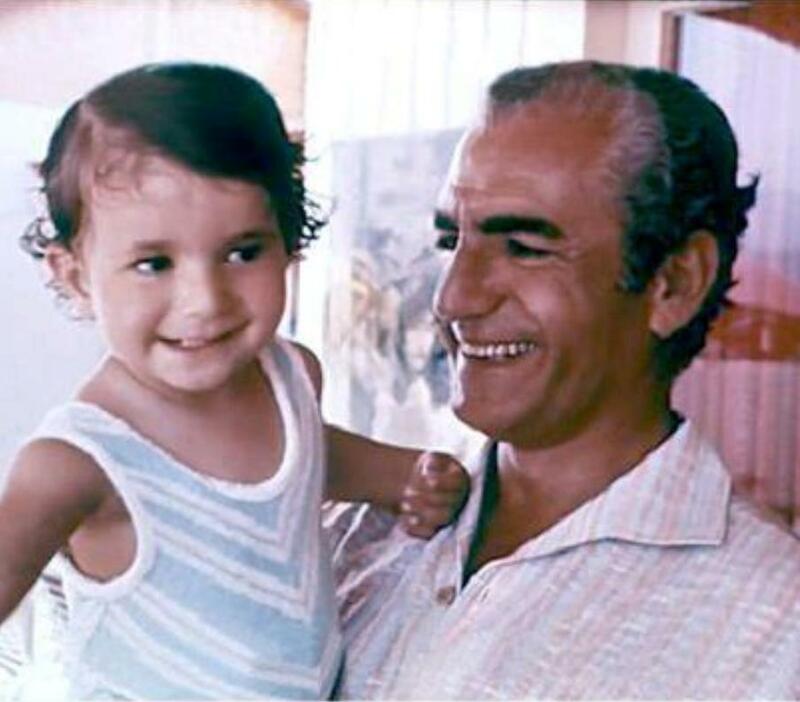 More than 70 percent of Iranians today were born in the years following the Shah's fall. 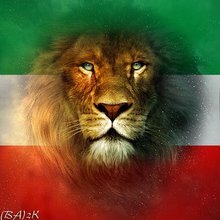 They do not have any memories of the man who ruled Iran for 37 years and has been portrayed as a Satanic, despotic dictator for the past three decades. And yet many Iranians born during the late 1970s and 1980s have kind words to say about him. Leila, a 32-year-old teacher and mother of two who lives in central Tehran, tells me, "I think people, particularly our parents, were very unfair to Shah. He was not a bad man at all." I tell her about the SAVAK and all the political prisoners. "Even worse!" she says, "Look at these guys who rule the country now -- compared to them he was a saint!" Leila might be right; Tehran cabdrivers often refer to Shah as "Oon khoda beyamorz," which literally means "He, who God may rest in peace." I tell one driver -- 20-something Hossein -- who is taking me to Azadi Square, once known as Shahyad or "Shah's memory," that it is the anniversary of the Shah's death. "God rest his soul in peace, these people did not deserve him," he says. I ask why he thinks so. Hossein, the rear of whose car bears a large religious sign, replies, "Those days people were free. My dad bought a Paykan for 24,000 tomans. Those days, Iranians could go anywhere in the world. There was no inflation. He treated them decently." He shakes his head mournfully. "Now look at people lining up for a piece of chicken." Ordinary Iranians like Leila and Hossein don't feel the need to rely on any statistics or history books; they live in a society where corruption cases against government officials seem to mount unceasingly. A recent text message reads, "Officials have run out of alphabet letters to name the suspected individuals in the 3 billion [dollar] case" -- a reference to the Iranian judiciary's habit of keeping suspects anonymous in official reports by using only their initials. Ahmad Reza, a lawyer who graduated from the University of Tehran in the early 1990s, comes face to face with corruption on a daily base. "While in university, my professors told us that during the Shah's era the judiciary was secular, while the new judiciary is implementing the laws of Islam," he says. "And yet they would tell us that during the Shah and in a secular system it was impossible to bribe a judge." He is bitter about how his cases are handled. "Today it is hard to find a judge who will not demand a bribe!" For him, the Shah's era was a time when lawyers and judges had "some real respect" in the society. "Respect" and "respectability" are words one hears often when talking to young Iranians. Thirty-seven-year-old Golam Hossein, a devout Muslim and a native of Isfahan, a city with a strong revolutionary tradition that suffered massive casualties in the war with Iraq, speaks the same way. "People respected the principles more in those days," he declares. He got married when he was 23; his wife, Fatemeh, wears a chador. "Some people look at us differently," he says, "it is like we should not enjoy a good life. My friends often think I am restraining my wife, while it is her choice to wear a chador." 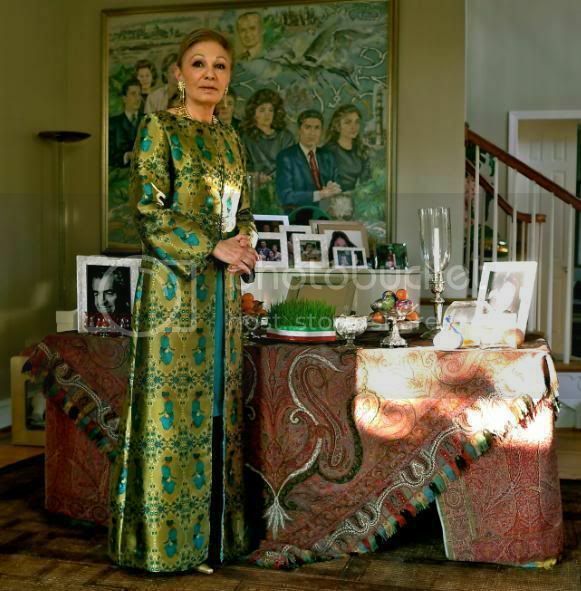 Fatemeh explains, "All of the women in my family wear chadors, even during the Shah. They tell me that they were shown more respect in those days. Today, even my chador does not stop men from harassing me." Golam Hossein sums it up. "Under the Shah, if you wanted to drink or to go to a place to dance you would have done so, and if you wanted to go to a mosque and to pray you would have done so without anyone judging you. Today, everything is out of its place." 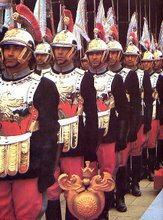 One could argue that many ordinary Iranians, especially those who do not remember the Shah's reign, lack sufficient knowledge to speak authoritatively about the country's past. So I talked to Hamid Reza, 38, who was born into a religious family. His brother served at the front while Hamid Reza was a first grader. He works with a few government sponsored research centers and often attends seminars on modern history. He thinks the Shah was not a devil, but was definitely not a saint either. To him, "Mohammad Reza Pahlavi was a typical Cold War era dictator, who had some good intentions." He sees the Shah's fate as typical of dictators of that era, men like Afghanistan's Mohammad Zahir Shah and many others. Hamid Reza says, "Looking at him, one realizes that he ignored his law-abiding opposition, tortured Marxists and other leftists, and was not careful about the Islamic beliefs of half of the society." 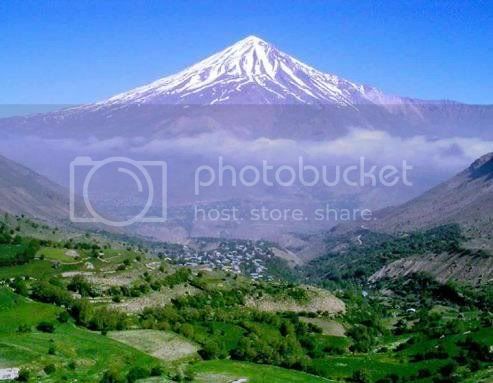 He believes that "it was only natural for Iranian people to rise up against the rule of one person 70 years after their constitutional movement." The Shah's biggest mistake, according to Hamid Reza, was to postpone reforms until it was too late. There's a question I feel compelled to ask. "Would it have been possible to avoid the Revolution?" Hamid Reza nods. "Revolution was not inevitable. It could have been avoided if the Shah had begun a program for political freedom a few years earlier." I ask him how plausible that would have been given the way Iranian intellectuals despised him and his close affiliation with the West. "Still revolution might have been avoided," Hamid Reza responds. "It is true that there was no love lost between him and Iranian intellectuals. And the intellectuals did much to vilify the Shah's image among the youth and the masses, but the Shah could have responded by reaching out to the masses." He refers to a set of memoirs in his library by Assadollah Alam, the Shah's minister of court and confidant. "If you read these, you get the idea that the Shah was more concerned with the public opinion in Washington and London than with the public opinion in Tehran or Tabriz." Others have even harsher words for the Shah. Marziyeh, a graduate student of engineering, tells me, "The Shah was a dictator; his mistakes made the revolution inevitable." She is upset that some people look kindly on the Shah just because "the Revolution has not brought us what people had expected originally." "Under the Shah, there was no freedom, there were scores of political prisoners, and many like [Khosrow] Golsorkhi was executed," she says. "The SAVAK was infamous for torture. We cannot say the Shah was good because those who came afterward did much worse than him." Marziyeh thinks that "people are just nostalgic about a past they do not even remember. The young ones do not know of the social injustices of that time." For my last interview, I speak to a veteran of the Iran-Iraq War. Ismail is 42 years old. He served at the front during the conflict's last two years, joining the Basij as a volunteer right after he graduated from high school. "It was the natural thing to do," he says. He remembers the days of the Revolution, when he was ten years old. "In our house, TV was forbidden because my father believed it to be haram [religiously prohibited]. We had a radio; he would turn it on to hear the call to prayers." After the Revolution, though, "My father bought a TV. He told us that we had an Islamic government, so TV would not corrupt our morals." I ask him what he thought of the Shah. "I think people of that generation did not want to have a dialogue with him," Ismail says. I tell him that his comment surprises me. "When I was at the front, I believed everything the nezaam [political system, or regime] told us," he continues. "When I graduated from university, I started to read history." Now he sees things differently. "There was no need for a revolution. People and intellectuals should have talked to him about their demands." He looks at a photo of himself and his friends at the front. "So much bloodshed could have been avoided." Ali Chenar is a pen name. "Graduation ceremony for the Imperial Iranian Navy Submarine Force held in Washington DC in 1978. In the mid 1970's the Imperial Iranian Navy signed a contract to purchase three U.S. submarines from the U.S. Navy. One of these submarines named Kooseh or Shark was purchased for $650,000 with an additional 26 million dollars spent for its complete overhaul. The Imperial Iranian Navy sent their best officers and sailors to the U.S. so they could be trained at a U.S. submarine school. The Iranian officers and sailors spent more that 2 years in Groton Connecticut training side by side U.S. naval officers. Kooseh was delivered to the Imperial Iranian Navy in 1978. It was being prepared for its journey to Iran with its new Iranian crew when the Islamic Revolt took place. The Islamic Republic refused to take the vessel despite the fact that it had already been paid for by Iran. The crew had to return the submarine to the U.S. Navy and return to Iran without the submarine. The U.S. Navy continued to charge the Islamic Republic $70,000 a month to maintain the vessel and eventually seized the submarine as part of the Iranian assets during the hostage crisis. The Submarine was later decommissioned and sold to a company in Florida using it as a research vessel." HIM Shahanshah Aryamehr Oil price increases 1973: Press conference 1978: HIM Mohammad Reza Shah: "We don't make false promises in the elections. What we say to our people is exactly what we can give them." Gymnastic and military display in Teheran's new Olympic Stadium, built for the 1974 Asian games. 1964 joint military exercise between the Imperial Iranian Armed Forces and the U.S. Armed Forces. Iran's Olympics team at the 1972 Summer Olympics in Munich (Germany) flying Iran's lion and sun flag. 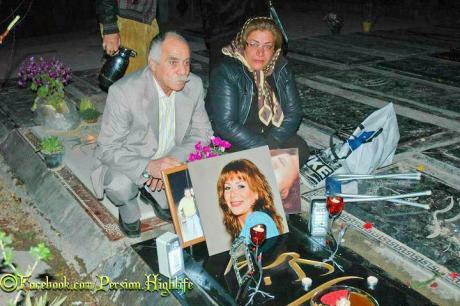 Neda Agha-Soltan's parents spending Iranian new year's by their murdered daughters resting place. Neda's father: "Neda was not with the green movement, she was for freedom"
Norooz 2571 Khojasteh va Pirooz Baad! 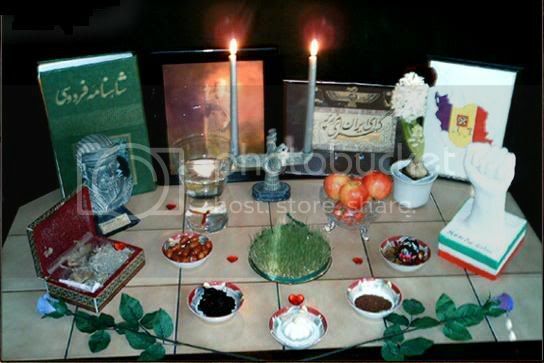 farA residane khojasteh norooz'e jamshidi'rA beh hameh rAsteen irAniAn'e paak'dell shAd'bAsh migoyam! be omide AzAdi mihanemAn az change jomhoriye nangine eslAmi!